5 Common Misconceptions about Home Loans - A Rose Is A Rose Is A Rose! Buying a home is probably one of the biggest decisions you’ll ever make. It takes months of research and analysis before you finalize a property that you want to purchase. Then there’s savings to consider and if you are seeking a loan, then you need to spend considerable time in comparing the home loan offers from various financial institutions, as this decision has long-term implications. With banks offering several unique products at competitive interest rates, choosing the right home loan plan can be a bit challenging. 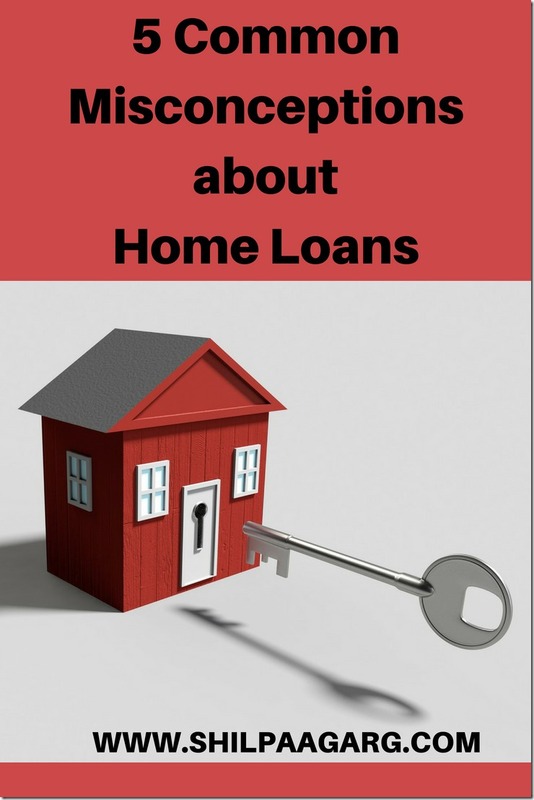 Due to lack of adequate information about the various clauses involved in a product, you may have some misconceptions about home loans. Misconception # 1: Shortest re-payment tenure is best to close the loan early. While shorter loan tenure is better for the borrower, but it also means higher equated monthly installments (EMIs). You may use Home Loan EMI Calculator to compute your home loan EMIs. High EMIs could lead to liquidity issues and may result in defaulting in EMI payments. Also, if you approach your bank later to increase the tenure, you may have to bear an additional cost for it. Misconception # 2: Loans with lowest interest rate is the best. It’s true that lower home loan interest rates translate into savings for the borrower. But it is vital to understand your loan requirements, such as the sanctioned amount which must be at par with the amount needed for the purchase. Also you need to know the terms and conditions along with the various fees and surges that may be used to inflate the cost of the home loan. Also, if the rate associated with your home loan is high, the bank might increase the tenure for you, so that you do not have to pay a huge installment every month. Although, in the long run, you might end up paying a hefty interest amount, your month-on-month finance planning does not take a hit if the rate is high. Misconception #3: Interest rates are non-negotiable. Interest rates offered by banks and various financial institutions can be negotiated, if you have a CIBIL score of 700 and above, which is indicative of good credit history. Financial institutions provide interest discounts, which may not seem massive but may amount to substantial savings on the overall home loan cost. Misconception #4: Prepayment of home loan attracts heavy penalties. Earlier banks used to levy a 2-5% foreclosure penalty. However, according to recent guidelines issued by RBI, banks cannot levy penalties for prepayment of a floating interest rate home loan. So, if you have got extra money, it makes sense to pay off a part of your home loan to reduce the burden of EMI. Misconception #5: Home loan should not be refinanced. If a bank is offering lower interest rate as compared to your existing bank, you can always refinance your loan. This is one of the best ways to lower your EMI. In addition, you also have the benefit of having the term and interest rates of your loan changed. Home loan is one of the most important decisions of your life and you must assess all the aspects of it before taking the plunge. We refinanced our home mortgage twice to get better interest rates over the years, and have now had our home paid off completely for a few years. What freedom! Happy that I found an other shilpa. Thanks for sharing .great post . You explained so well Shilpa. I had very little knowledge about home loans and your post is so informative!! Two points… One, I wasn’t aware of the change with misconception 4… And its good they have changed the rule this way. Your this post will help those who are planning to buy their own house. Because generally we take home loans before buying a house and we have so many misconceptions too. Good read for me and very informative post. Buying a home is a dream for many and loans are the mode through which they become reality for most. This is a very helpful post clearing some big misconceptions. Thanks for clearing these misconceptions, buying home is a dream and thanks for sharing f this.